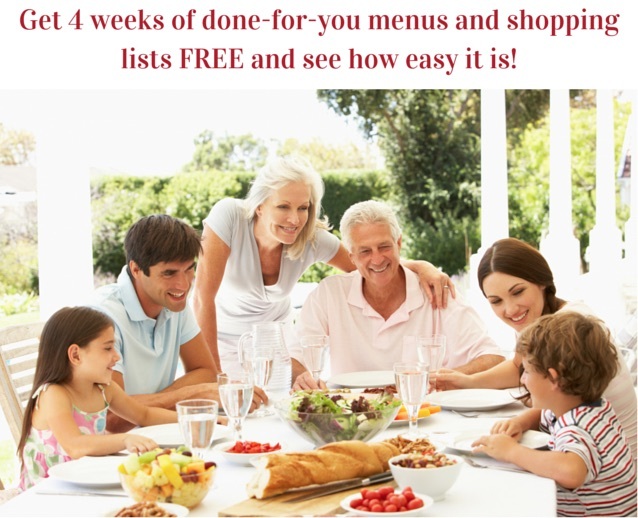 I just wanted to share with busy moms a menu planning system designed for families that are on a budget and who like to cook at home. Menu Planning Central is having a 50% off sale, and I am very excited because their are many improvements to the menus making them better and more fitting for your needs! The Menu Plans are already done-for-you, including organized shopping lists that you can simply print and take to the store, and then you will know that you will be coming home with everything you need to make a nice dinner without a hassle. The menu plans include fresh ingredients, easy-to-prepare recipes, that utilize your slow cooker regularly for the extra busy days when you are most in need of a helping hand. You’ll also get ALL the Bonuses AND access to the My Menu Maker software! Read all about those here. Use coupon code 50off to get the Lifetime Membership for half price! Click here. For those of you that want a monthly payment option, you can choose that and save big as well! Normally it’s $9.97 per month for 12 months to get the Lifetime Membership, but right now you can pay for just 6 months and get that upgrade! Click here to get it.